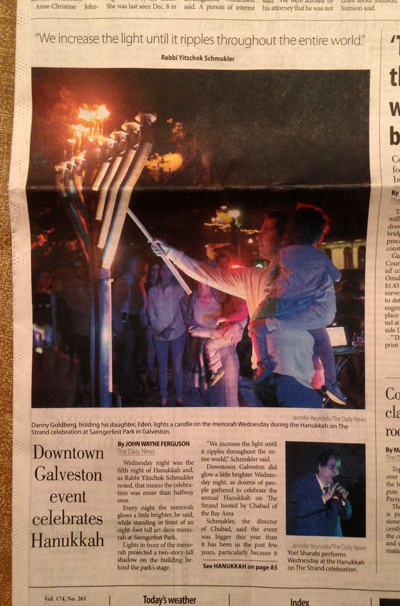 The Galveston County Daily News gave prominent front page coverage to the Outdoor Chanukah Concert - Chanukah On The Strand! Pictures, video & notable post about the Chanukah Events! Inspiring, joyous, illuminating, magical... were just some of the words used to describe the feelings felt at Chabad of the Bay Area's Public Chanukah Celebrations! Chanukah: When to light on Friday night? When Chanukah falls on Friday night, we light the Chanukah candles before lighting the Shabbat candles. It is not permitted to light a fire on Shabbat, so of course both need to be lit prior to Candle Lighting Time (this week 5:14 pm). Saturday night we must wait for Shabbat to end at nightfall (this week at 6:11 pm in the Clear Lake Area) before kindling the Menorah. See www.JBayArea.org/Chanukah for a complete Chanukah guide, including the blessings for lighting the candles. Wishing you a very joyous final days of Chanukah! Special Guest Speaker - Save the date! Get ready for an exclusive, first person account from a warrior who was one of the first soldiers on the ground in Israel's famous Raid on Entebbe -- The IDF's bold, brave and miraculous rescue of a plane-load of Jews taken hostage by terrorists. Get an insider's perspective and find out amazing details of the story that you have never known before. Stay tuned for reservation details. Would you like to be a sponsor to help make this event possible? Please contact the rabbi or use this form. Join us this Shabbat (Dec 24) for a special Kiddush sponsored in honor of the rabbi's birthday! Service followed by full Kiddush lunch sponsored The Schmukler Family in honor of the Rabbi's Birthday! RSVP: Bay Area Chanukah Concert! The Bay Area Chanukah Concert! Starring popular Israeli musician, Yoel Sharabi! Optional: Reserve a seat & deli plate in advance! 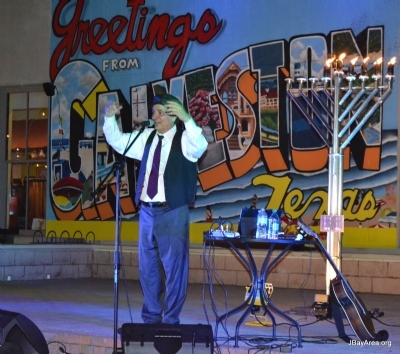 This Monday: Pearland Menorah Lighting! Join us this Monday, December 26 at 6:30 pm for a festive Menorah lighting at Pearland Town Center mall! 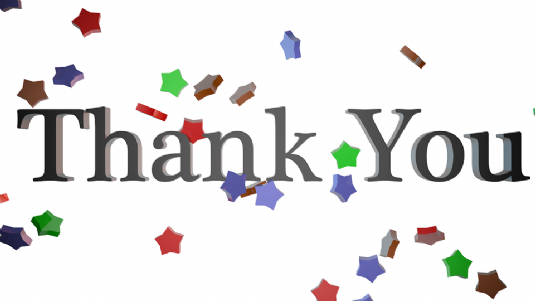 A very warm thanks to so many of you who stepped forward and took part in our annual matching campaign! Thank you as well to our very special "Matchers" who helped make this campaign possible: Mardy Schweitzer, Menachem Mendel ben Shmuel Yosef and Art Sadin! May Hashem bless each and every one of you with abundant prosperity, good health and lots of happiness! PS If anyone would still like to donate to help us reach the top of our campaign goal, click here. It was a magical Shabbat last week! Kabbalat Shabbat, Coffee and Kabbalah, spirited service, guest sermon, lunch, singing, stories, discussions and finally all capped off with a very special musical Havdallah and Kiddush Levanah (Sanctification of the New Moon) Ceremony, with refreshments and live music led by Danny Gavin! This Sunday: J-Kids - Pre Chanukah Event! 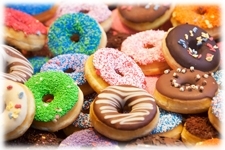 Join J-Kids in Action on Sunday, December 18 at 2:00 to 3:30 pm as we roll, dip and sprinkle to create our very own delicious Chanukah doughnuts! Have fun with your favorite toppings and learn something about Chanukah too! Wednesday: Women's Circle - Fun Pre-Chanukah Event! Bay Area Jewish Women's Circle invites you to a Pre-Chanukah Evening: "LOL - Lots of Latkes!" 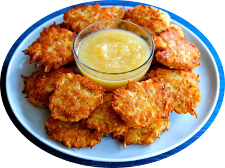 Become a Latke Maven as you experience the delight of creating hand-made latkes: You'll get to grate, mix and fry your very own Gourmet Latkes and enjoy it with your favorite Latke dip! Plus, be part of a 'Chanukah Grab Bag': Bring a wrapped gift (worth $5 to $10) and go home with a surprise gift of your own! Scholars in Residence, Lunch & more! Join us this Shabbat, December 10th, for a very special Shabbat! Full Buffet Lunch at around noon with remarks by Scholar-in-Residence, Mrs. Chana Schmukler. Q&A Session. Co-Sponsor: $72 / Chai Sponsor $180 / Double-Chai Sponsor $360. Thank you to Sponsors: Dr. Steve & Jean Anne Falk, Jeff & Rina Goldberg. 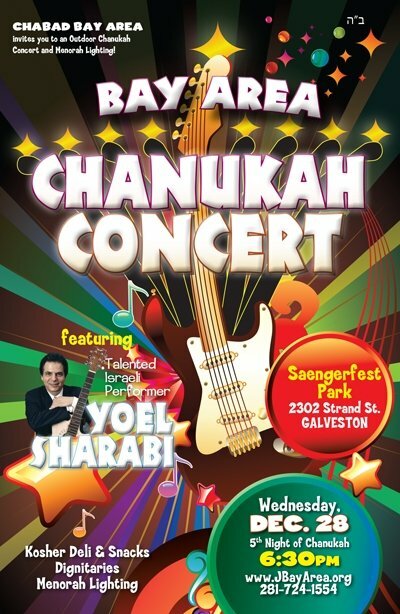 Use Sponsor Form or contact Rabbi Schmukler at 713-398-2460. Not required, but appreciated. Simply reply to this email to reserve. Join us for this Motzo'ei Shabbat - Saturday Night! Delicious refreshments & cold drinks! 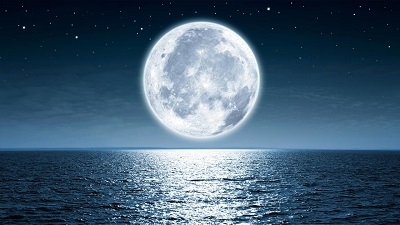 An ancient Jewish tradition to "sanctify" the new moon during the first half of the month (learn more). Just like Shabbat is welcomed over a cup of wine, it is likewise concluded with blessing over a cup of wine, as well as over aromatic spices and a Havadalah Candle (learn more). As an independent non-profit, Chabad of the Bay Area is made possible by your partnership and generosity (all of our funding is grass-roots, we receive no funding from any central body). Every little bit counts and makes a big difference. Please consider making Chabad of the Bay Area a part of your end of year, tax-deductible giving. Have you considered joining our monthly giving club? Thank you and may you be blessed in return with material prosperity many times over! Thursday: 24 Hour Matching Campaign! Join us online this Thursday, December 15 - the 15th of Kislev - for an extraordinary 24 hour fundraising campaign! For 24 hours only, every dollar that you donate will be doubled on the spot by matching donors! That's right - doubled! Chabad of the Bay Area counts entirely on the grass-roots support of people like yourself to enable its work. Your participation in this special campaign will help us cover this year's budget and be on firm ground for continued activities and growth in 2017. Please stay tuned for more and just think about the impact you can make when your generous gift is doubled! Watch your mailbox: Chanukah Events postcard! 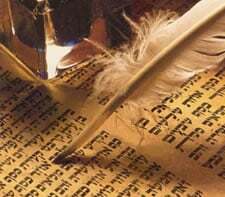 A Sofer (Expert Scribe) is visiting Houston this Sunday-Tuesday (Dec 11-13). If you would like to have your Mezuzot or Tefillin checked (a fee applies) please contact the rabbi for more information. 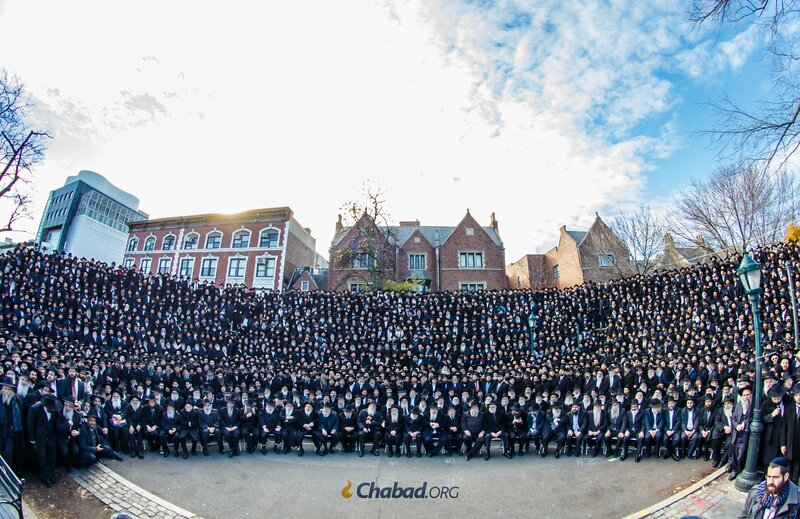 Thousands of rabbis attending the International Conference of Chabad-Lubavitch Emissaries (Kinus Hashluchim) pose for a group portrait in front of Lubavitch World Headquarters in the Crown Heights neighborhood of Brooklyn, N.Y. The corresponding women's convention of Shluchot (Emissaries) is held in February. Can you spot our rabbi in the picture? Now online: Purim Photo Album! Purim Dinner - This Thursday! Did you RSVP?